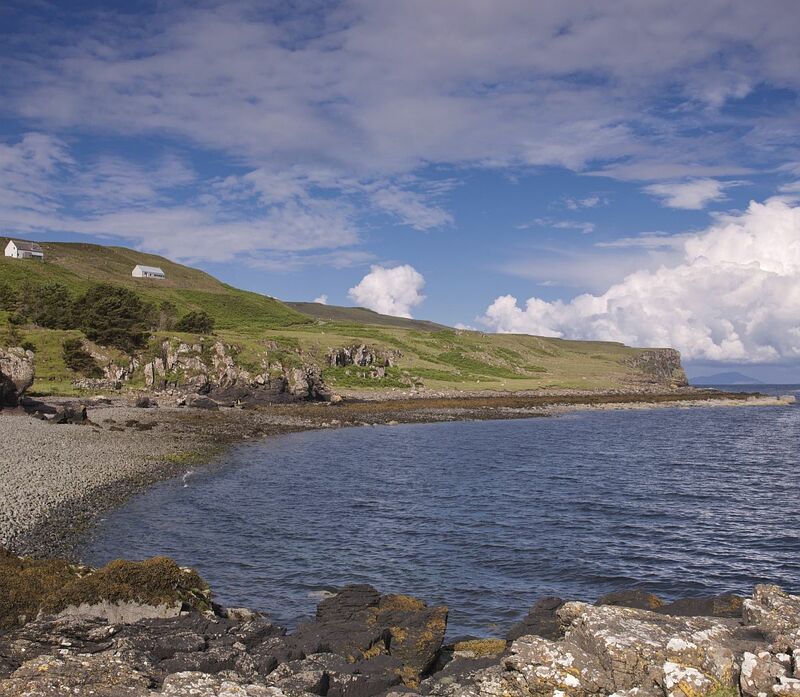 Medieval castles, a rugged coastline, the sight of unending blue waters, colorful wild flowers breaking up the vast greenery, and the promise of tranquility that eludes life in the big city – Isle of Skye has it all and a whole lot more! 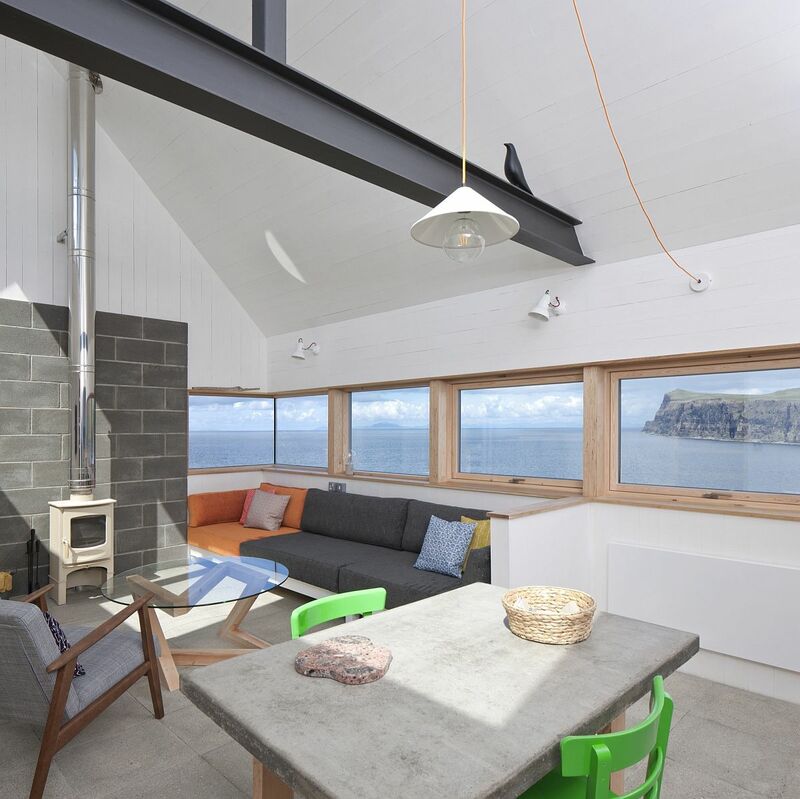 Any holiday home or residence on this scenic island instantly becomes a showstopper, thanks to the landscape that surrounds it. 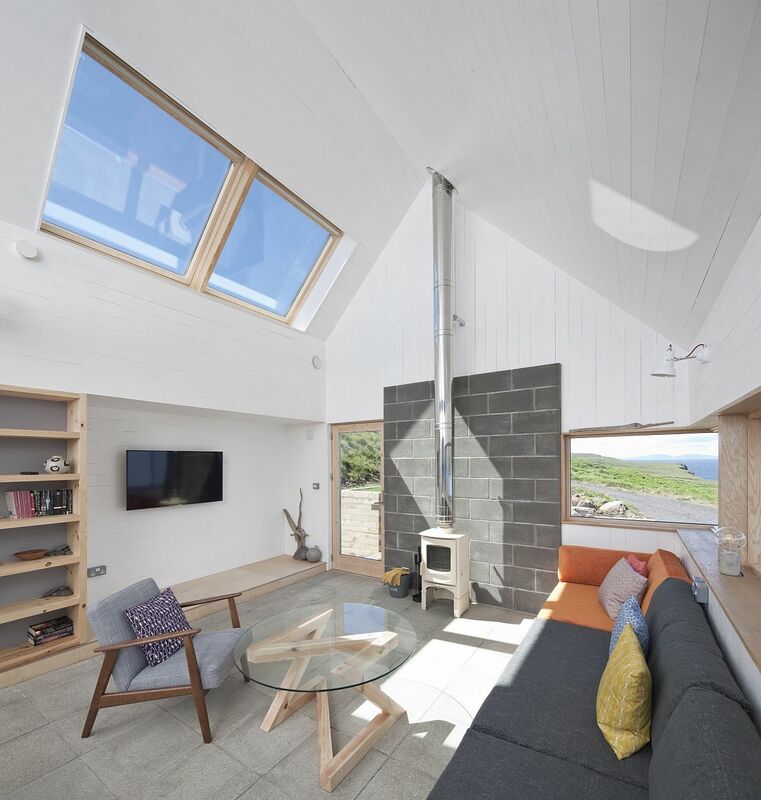 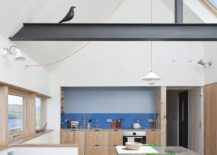 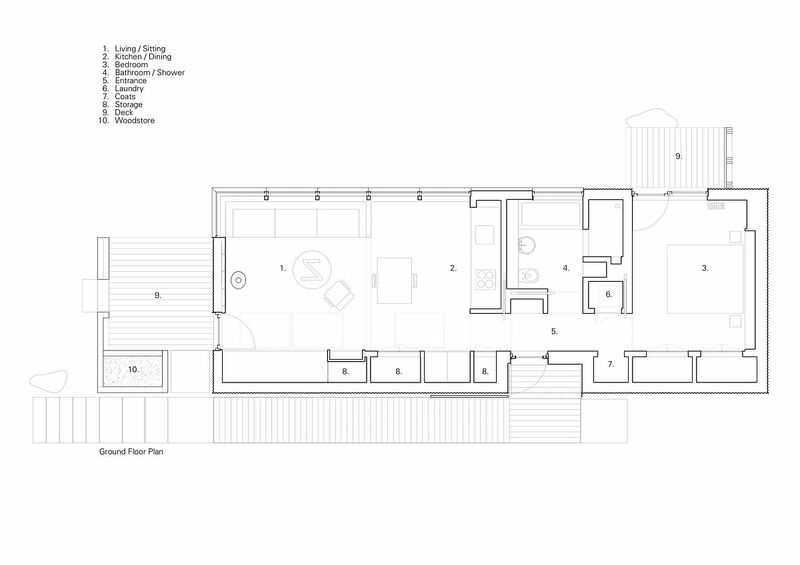 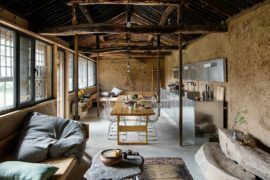 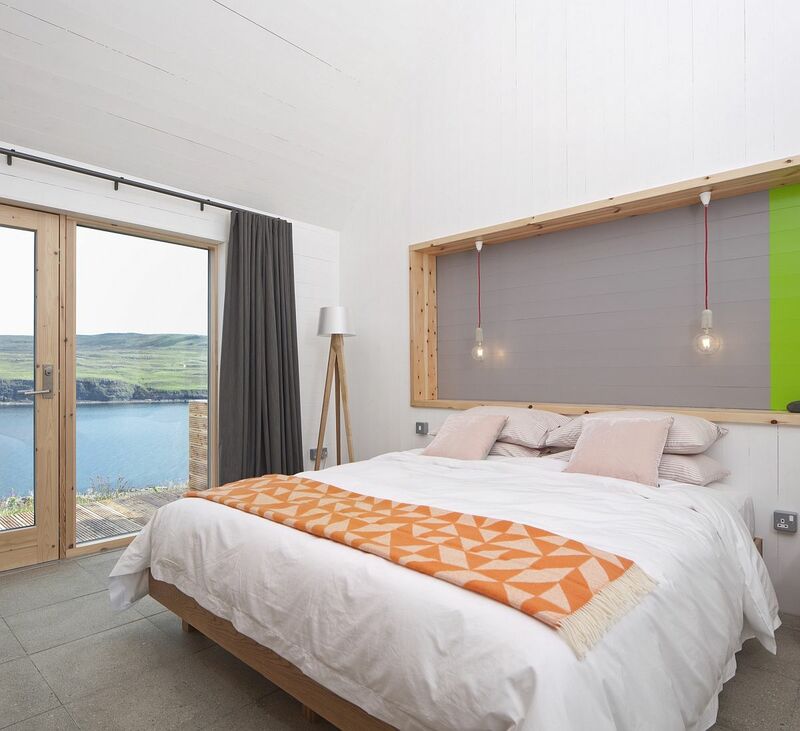 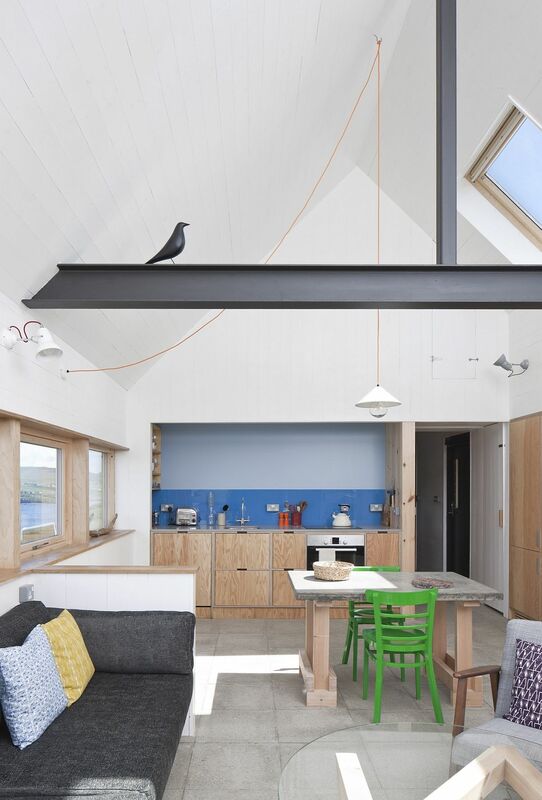 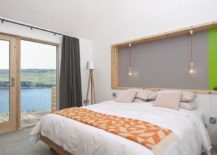 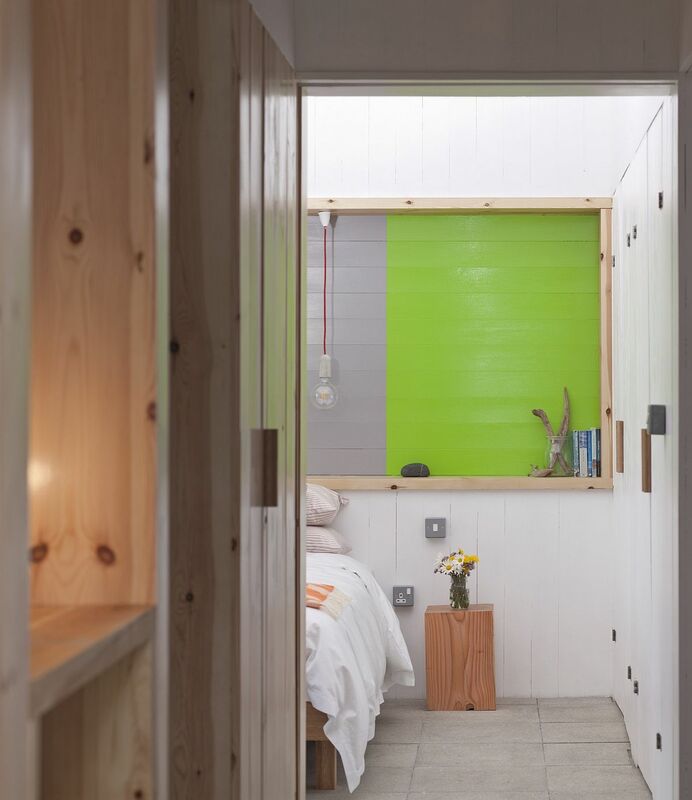 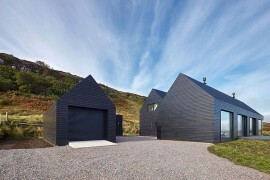 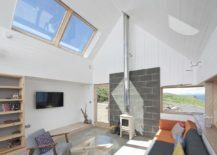 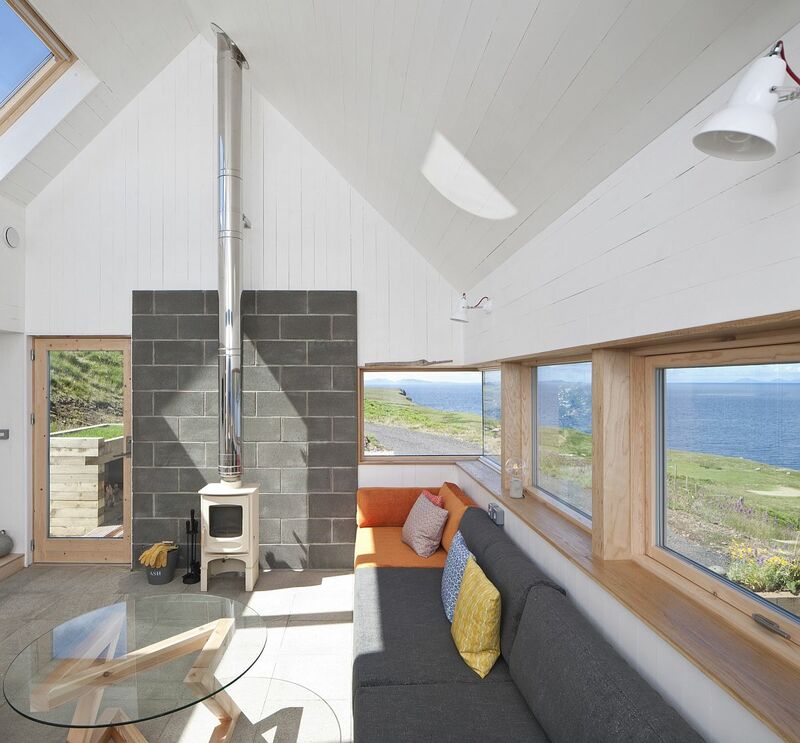 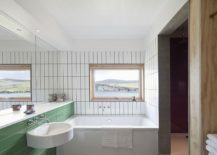 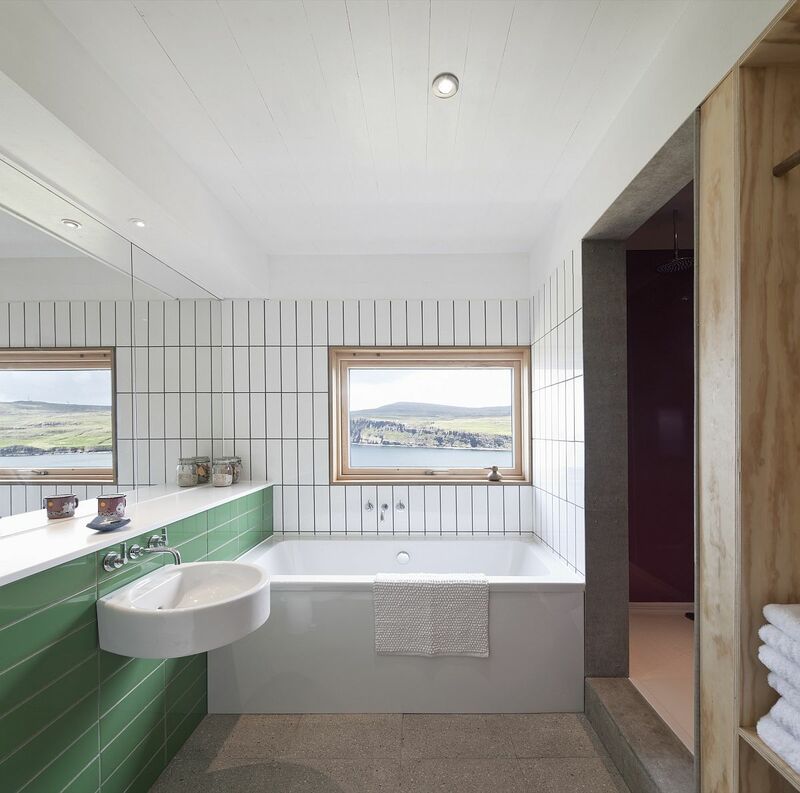 But the fabulous Tinhouse designed by Rural Design offers a whole lot more, as it effortlessly combines the form of a classic rural barn with contemporary style and finishes to create a fusion of two contrasting worlds. 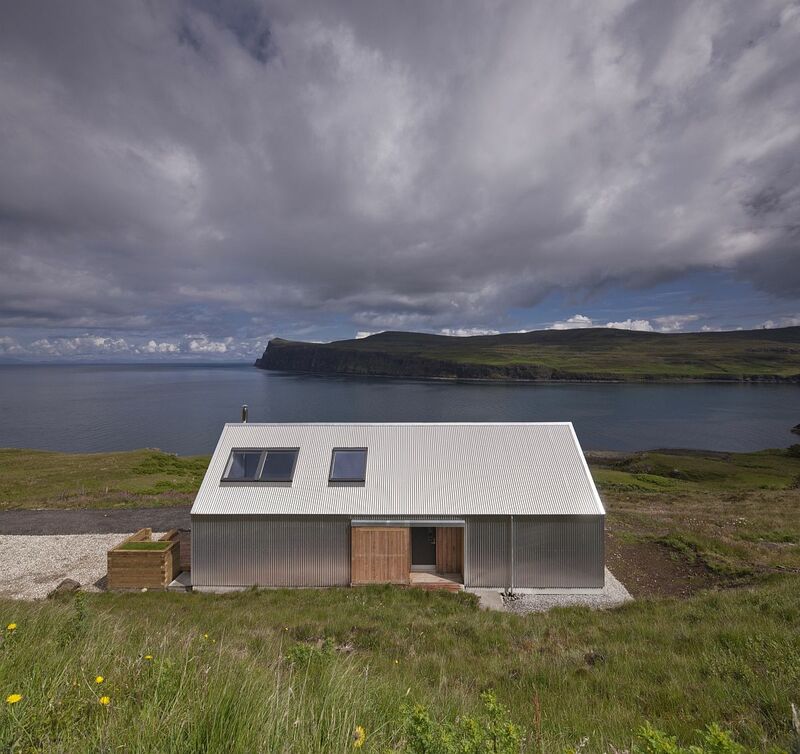 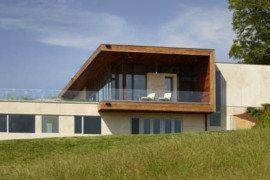 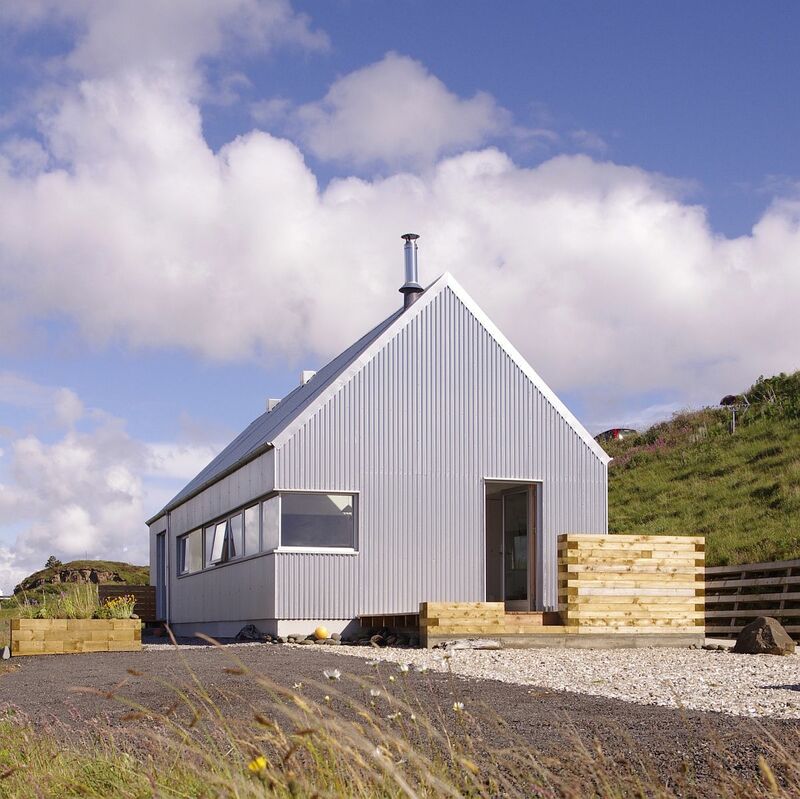 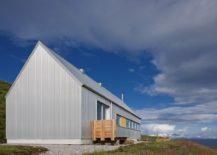 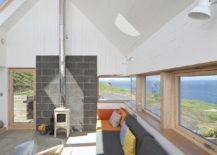 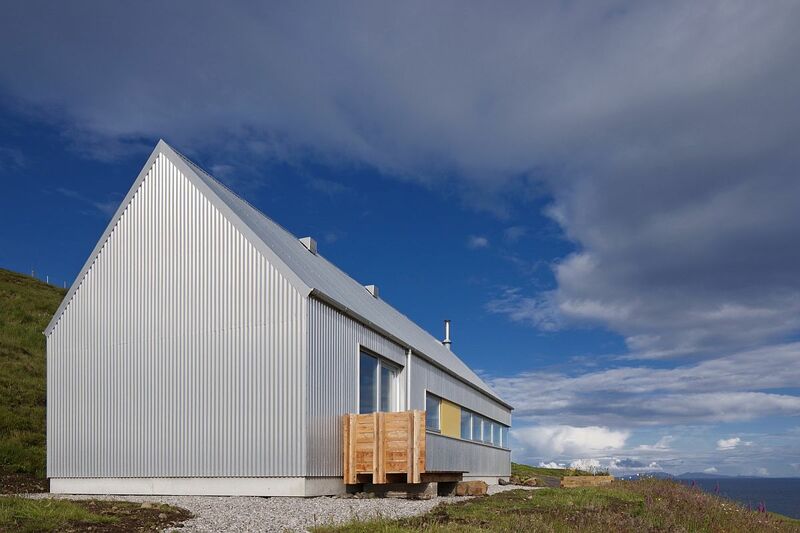 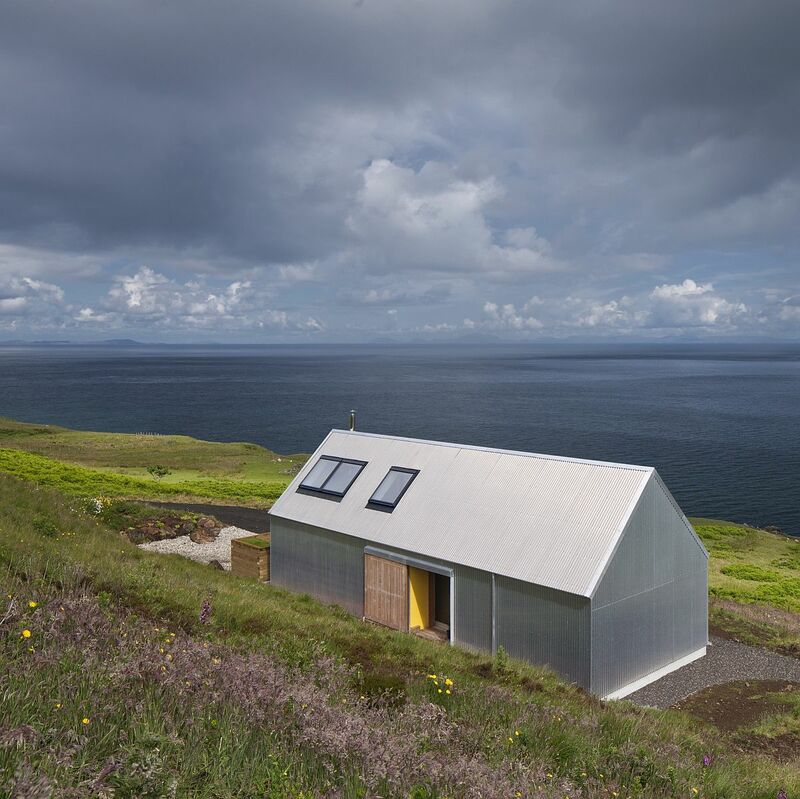 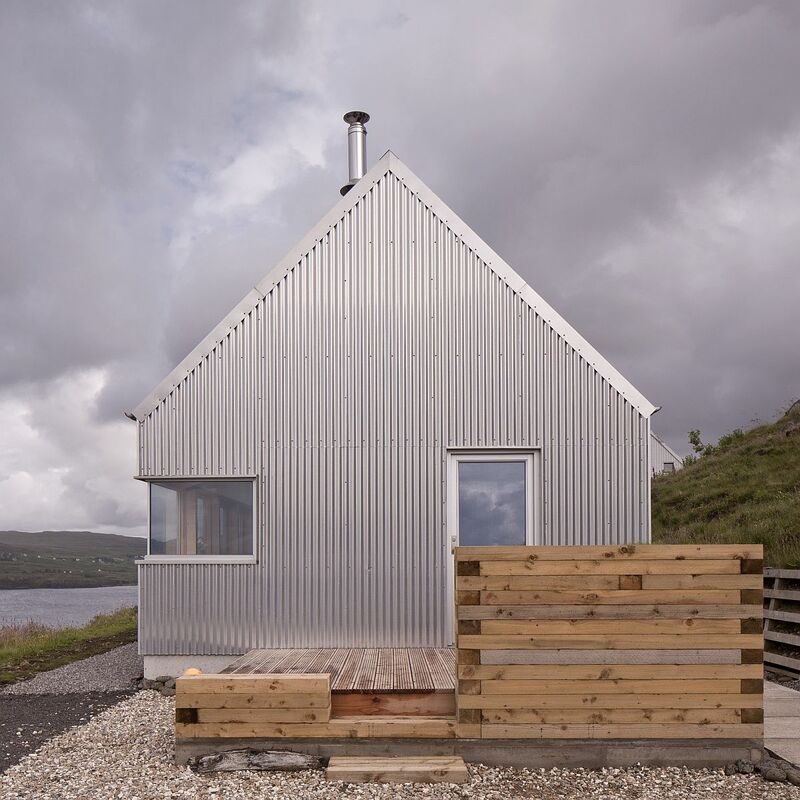 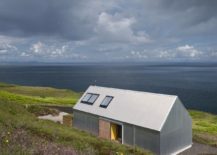 Nestled on a steep site that offers unabated views of The Minch, the house draws your attention with its corrugated aluminum exterior that gives it a bold, white and metallic sheen. 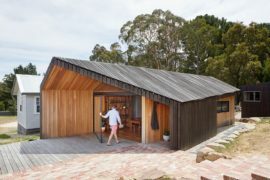 Going beyond just the aesthetics, the exterior of this smart family home offers considerable protection from the harsh winter weather and gusty winds that are all too common in this part of the world. 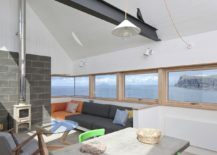 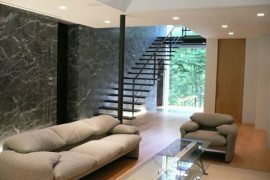 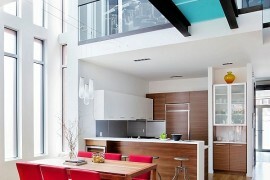 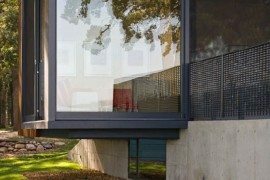 A series of glass windows connects the interior with the world outside and brings in the ever-changing sights and sounds of nature. 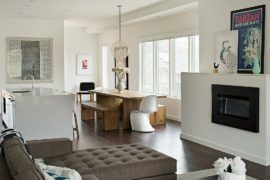 On the inside, one sees a far more ‘modern and minimal’ approach to design, with curated décor, polished finishes and a color scheme based on white and gray.